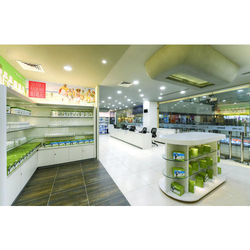 Our range of products include banks interior turnkey projects, mdf grill partition, gypsum board partitions, fibre gypsum partition, indoor furniture turnkey project and wooden furniture turnkey project. 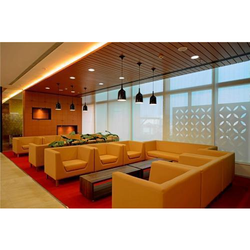 We have done construction and interior for many reputed banks in India as well. 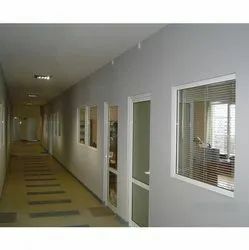 Remembering the assorted prerequisites of our customers we are included in offering to our customers an extensive variety of Gypsum Wall Partitions. To meet diverse decisions of our regarded customers, these partitions are accessible in the business sector in different eye getting plans. To render greatest customer fulfillment, gave partitions are made by our merchants utilizing quality demonstrated material and the most recent engineering. 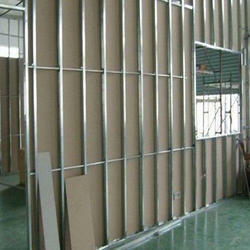 So as to accomplish high level of customer trust, we are keenly involved in offering Gypsum Partition. We offer them at reasonable rates. 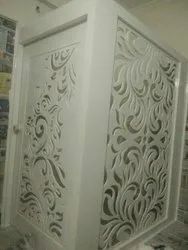 We are a unique name in the industry to provide our precious clients the best quality Indoor Furniture Turnkey Project. The provided service is carried out by our skilled team of professionals in the best possible manner. While performing this service, our experts ensure that the offered service delivers precision results and is within the budget to attain maximum client's satisfaction. Moreover, this service is widely acknowledged by our valuable clients for its flawlessness and hassle free execution. Backed by rich industry experiences, we are highly engaged in offering an optimum quality Wooden Furniture Turnkey Project. Our offered services have gained wide appreciation from our precious clients for their varied associated attributes like promptness, flawlessness, and perfect execution. Our experts examine all the parameters associated with these services and execute them in an excellent manner. Furthermore, provided services can be availed by our valuable clients at most competitive prices. Our firm has set a benchmark in providing Home Furniture Turnkey Projects to the customers. These services are completed in postulated time frame in order to achieve maximum satisfaction of our esteemed patrons. This service is also delivered in customization facility according to the specific demands and desires of clients. 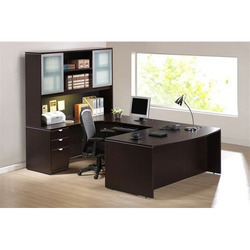 With enormous experience in this realm, we are occupied in providing Office Furniture Turnkey Projects. Owing to its exactness, reliability and flawlessness, these provided services are widely recommended and treasured. Besides, we assure to deliver these services to our customers on time as per the desires of our customers. Showroom/Malls Interior Turnkey ProjectKlanskraft is an Interior designer and civil contractors, deals into home & office furniture and offers services for Real Estate, Construction & Interiors.We are a group of entrepreneurs delivering services to various organizations & individuals in the field of real estate, construction and interior furnishing. Having experience of many years, highly trained and technically qualified team. Owing to our years of experience in this industry, we have been able to undertake the finest quality Furniture Turnkey Project Services. Under this project, we manufacture and install the furniture of a particular area as per the precise needs and requirements of our valued patrons. Our experienced team members make optimum utilization of the best quality raw material and innovative techniques to render this service in the best possible manner. Clients can avail this service from us at the most reasonable price range. We are a noticeable name engaged in providing Hotel Furniture Turnkey Projects to our customers. To deliver this service, our experienced professionals make use of progressive tools and tackles in agreement with the worldwide quality standards. We have diligent professionals who have thorough knowledge in this area.